What prompted me to write this Article is an observation made in a recent judgment dated 25-02-2019 rendered by a Division Bench of the Kerala High Court in Criminal Appeal No. 794 of 2014 (Ali K.B. v. State of Kerala 2019 (1) KHC 898). "19. It is settled law that even a statement recorded by the Magistrate in terms of Section 164(5) can only be used for the purpose of contradiction. The statement recorded under Section 164(5) cannot have any validity as such and cannot be treated as evidence before a Court. 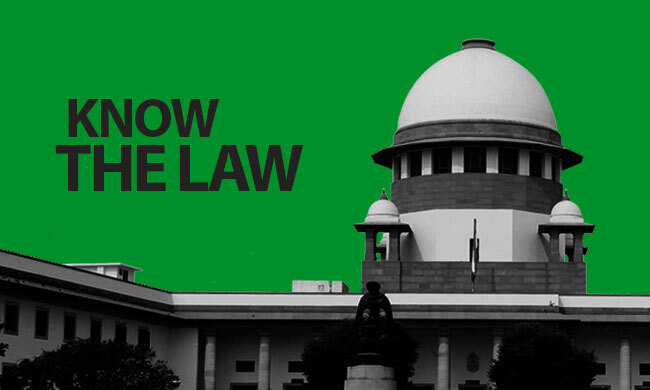 It has the same characteristics of a statement recorded by the Police under Section 161 and can be utilized only for the purpose as provided in the proviso to Section 162 r/w Section 145 of the Indian Evidence Act, 1872. Therefore, no prejudice will be caused to the accused even if there is any irregularity in recording the statement under Section 164 by the learned Magistrate. In the case on hand, the argument is with reference to statement given by PW2, a child witness to the Magistrate under Section 164 of Cr.P.C." 3. I am afraid that the above observation does not reflect the true legal position. The observation that a statement recorded under Section 164(5) Cr.P.C is analogous to a statement recorded by the Police under Section 161 Cr.P.C. and it can be used only for the purpose of contradiction as provided under the proviso to Section 162 Cr.P.C. read with Section 145 of the Evidence Act, is, with due respect, an erroneous statement of the law as will be shown in the course of this Article. Such a statement under Section 164 Cr.P.C. can be used not only for contradicting the maker under Section 145 of the Evidence Act but also for corroborating his statement by recourse to Section 157 of the Evidence Act. The proviso to Section 162(1) Cr.P.C. also cannot have any application for eliciting a contradiction in the statement recorded under Section 164 Cr.P.C. since such a statement is one recorded by a Magistrate and not by a Police officer. Similarly, the further observation in the extracted portion of the reported verdict that a statement recorded under Section 164(5) Cr.P.C. cannot have any validity as such and cannot be treated as evidence before Court, may not also be fully correct in the wake of the legislative intervention in the form of insertion of clause(b) to sub-section (5A) of Section 164 Cr.P.C. with effect from 03-02-2013. As per the said clause(b) the statement recorded under clause(a) of sub-section (5A) of a person who is temporarily or permanently mentally or physically disabled, can be treated as examination-in-chief as provided under Section 137 of the Evidence Act during the trial of the case. Thus, at least for the aforesaid limited purpose, the 164 statement of a person can be treated as evidence. Since I have also come across other judicial verdicts either misconstruing or not properly construing the sweep and amplitude of Section 164 Cr.P.C., I propose to deal with the subject in some depth. PROVIDED FURTHER that no confession shall be recorded by a police officer on whom any power of a Magistrate has been conferred under any law for the time being in force. The Magistrate shall , before recording any such confession, explain to the person making it that he is not bound to make a confession and that, if he does so, it confession unless, upon questioning the person making it, he has reason to believe that it is being made voluntarily. If at any time before the confession is recorded, the person appearing before the Magistrate states that he is not willing to make the confession, the Magistrate shall not authorise the detention of such person in policecustody. "I have explained to (name) that he is not bound to make a confession and that, if he does so, any confession he may make may be used as evidence against him and I believe that this confession was voluntarily made. It was taken in my presence and hearing, and was read over to the person making it and admitted by him to be correct, and it contains a full and true account of the statement made by him. Any statement (other than a confession) made under sub-Section (1) shall be recorded in such manner hereafter provided for the recording of evidence as is, in the opinion of the Magistrate, best fitted to the circumstances of the case; and the Magistrate shall have power to administer oath to the person whose statement is so recorded. PROVIDED FURTHER that if a person making statement is temporarily or permanently or physically disabled, the statement made by the person, with the assistance of an interpreter or a special educator, shall be videographed. A statement recorded under clause (a) of a person who is temporarily or permanently or physically disabled, shall be considered a statement in lieu of examination-in-chief, as specified in Section 137 of the Indian Evidence Act, 1872 (1 of 1872) such that the maker of the statement can be cross-examined on such statement, without the need for recording the same at the time of trial. The Magistrate recording a confession or statement under this Section shall forward it to the Magistrate by whom the case is to be inquired into or tried. A. WHO CAN RECORD A "CONFESSION" OR "STATEMENT" UNDER SECTION 164 Cr.P.C. ? 5. Section 164(1) empowers any Metropolitan Magistrate or other Judicial Magistrate to record any confession or statement made to him. (This provision, therefore, indicates that a Judicial Magistrate alone is invested with the power to record a confession or statement under Section 164(1) Cr.P.C. A confession recorded by an Executive Magistrate under Section 164(1) Cr.P.C. is thus totally inadmissible in evidence (vide Asst. Collector of Central Excise v. Duncan Agro Industries Ltd. AIR 2000 SC 2901. Second proviso to Section 164(1) clarifies that a Police Officer on whom the power of a Magistrate has been conferred under any law also cannot record a confession under Section 164(1) Cr.P.C. What is not permissible is only the recording by a person other than a Judicial Magistrate of a confession by recourse to Section 164 Cr.P.C. But, anybody including an Executive Magistrate is entitled to record an extra judicial confession. However, a Police Officer cannot record a confession in view of the interdict under Section 25 of the Indian Evidence Act, 1872. B. SHOULD THE MAGISTRATE BE THE JURISDICTIONAL MAGISTRATE? 6. No. The Metropolitan or other Judicial Magistrate can record the confession or statement under Section 164 (1) Cr.P.C. whether or not he has jurisdiction in the case. Justice V Ramkumar is a former Judge Of Kerala High Court.